Following up from our banger of a gig with Gary Beck, it gives us much pleasure to be bringing yet another talented techno pioneer from bonny Scotland to the dark dwellings of Nevermind Small Club. 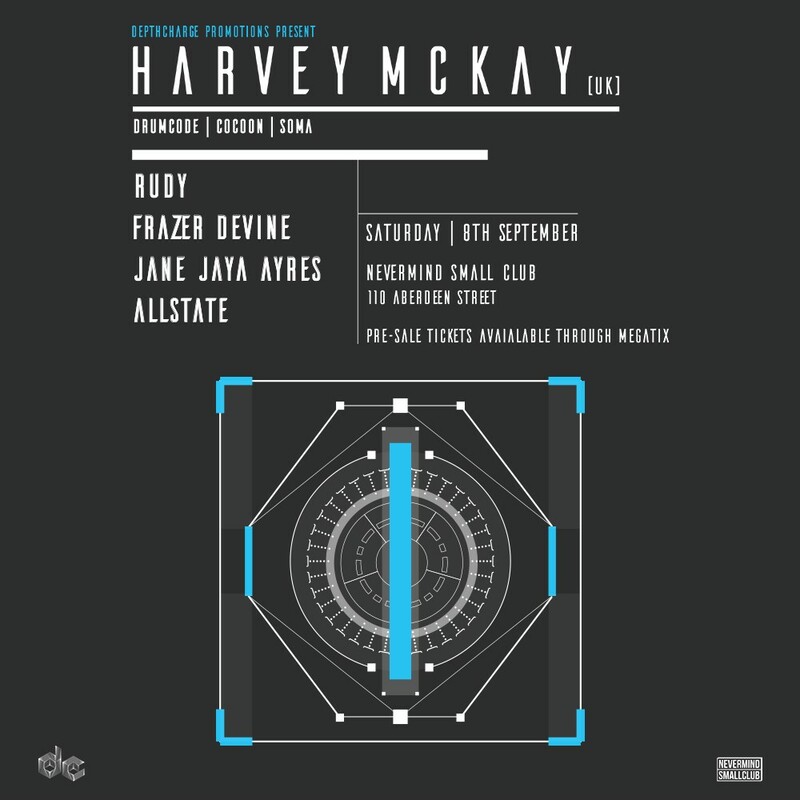 Harvey McKay is one of the hottest names in the techno scene of recent and rightly so! His driving yet soulful sound has gained him global recognition that has seen him play on some of the biggest line ups from his home town of Glasgow to the massive Ultra Music festival. His production work, spanning across labels like Soma, Cocoon and Drumcode, is a musical statement in itself, showing that Harvey is a key contributor to the underworld techno sound of today. Once again, this is a very rare opportunity to see one of the best this side of the hemisphere with limited tickets available from Megatix.